Gordon Brown is deeply grateful to find a new musical and spiritual home at St. Paul’s, Lindsay. Born near Sault Ste. Marie, Ontario, he pursued piano and organ studies there, and then in 1982 re-located to Toronto, to enter the Faculty of Music, University of Toronto, as a student of Patricia Parr and Greta Kraus. He graduated in Piano Performance, and became active as a vocal and ballet accompanist. He began vocal studies with Angela Hawaleshka, and was the pianist, for many years, for her music theatre company, The Alexander Singers and Players. He is a member of the choir of Holy Blossom Temple, and a staff-member of The National Ballet School. 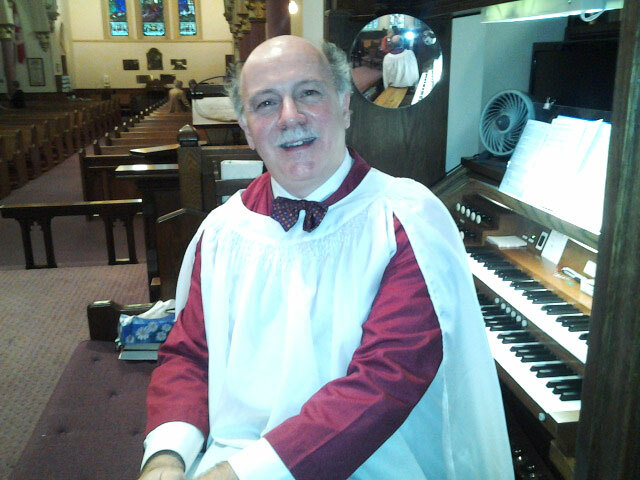 Gordon also served as pianist of The First Church of Christ, Scientist, in Scarborough for many years. During the summers of 2007-2011 he pursued piano, vocal, and composition studies at the Sommerakademie of International Chamber Music Festival, “Allegro-Vivo”, at Horn, in Austria. This was a wonderful time of musical inspiration and instruction, and of interaction with musicians from many parts of the world. He worked with professors Roland Batik, Peter Ovtcharov, and Wolfgang Bankl. During this time, he also followed a long-held dream of setting the beautiful 18th Sonnet of Shakespeare as a Viennese Waltz. This is a work for soprano, baritone, violin, cello, and piano; and it is happily now moving close to completion. Concerts in the past include “An Evening in Vienna”, and “A Haydn Bi-centenary Concert”, presented in 2006 and 2009. Gordon looks forward to a rich musical life with the Choir and Congregation of St. Paul’s, and to meeting and making many new wonderful friends.